The Gerald family has been selling automobiles in the Chicago area since the mid-1930’s. Starting with used car lots, then two DeSoto-Plymouth dealerships. The family finally settled in Skokie in 1952 and opened Gerald Motors, Inc. (DeSoto-Plymouth). The Dealership was awarded the Lincoln-Mercury franchise in 1954 and operated in the same location until 1997 when that Dealership was sold. In October of 1981, we purchased an existing Oldsmobile dealership with a collision center at 1210 East Ogden Ave. in Naperville. We added Subaru to that location in August of 1985. When General Motors announced the termination of the Oldsmobile franchise in December of 2000 we sought out other franchises to replace it. In June of 2007 we added Kia to this location. In June of 1992 we purchased an existing Nissan dealership at 1575 W. Ogden and opened our second store in Naperville. In March of 1998, we built our third location and added a second Nissan franchise in the North Aurora Auto Mall. We were awarded the Subaru franchise to add to that store in 2000. In May of 2009, we purchased an existing Hyundai dealership located in the North Aurora Auto Mall. In December of 2012, we purchased an existing Kia dealership in the North Aurora Auto Mall. In August of 2014 our Kia dealership located at 1210 Odgen Ave, moved locations to establish their own Kia dealership, now located at 1661 Aurora Avenue in Naperville. In September of 2015 the Subaru franchise in Naperville moved from it former location on East Ogden to the west side of town in a ground up beautiful new facility. The Collision Center remains in the building on the east side of town. On November 1, 2016 we moved our Subaru franchise in the North Aurora Auto Mall out of the Nissan store into its own completely renovated facility two doors to the north. On October 1, 2018 the Gerald family is proud to have acquired the Ford store in the North Aurora Auto Mall. We have succeeded in these endeavors because of our profound respect for the customer. The name Gerald stands for honesty and the highest standard of excellence and customer treatment. 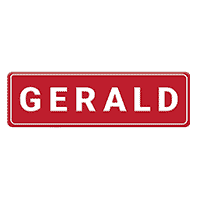 Gerald management and employees care about, pay attention to, and are close to their customers. Our employees are some of the most outstanding in the business. As this dealership continues to grow, it will be the result of all of our combined efforts, and our dedication and loyalty to the thousands of customers who favor us with their trust and patronage. The Gerald Auto Group is with you for a lifetime of great driving!